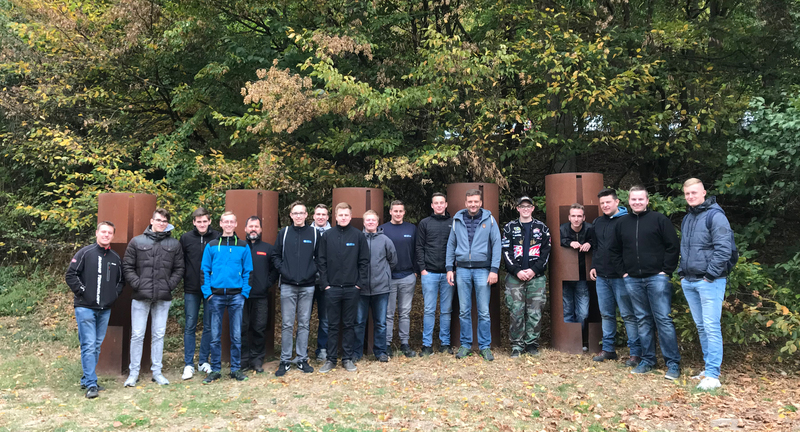 On September 28, 2018, the trainees of all apprenticeship years set off together for the team-building event in the Marburg climbing forest under the direction of training manager Marco Pfeifer. 15 trainees experienced many different team tasks throughout the day in order to take with them new ideas for everyday life and to strengthen the “sense of unity”. In a playful way, different stations tried to increase the ability to cooperate and communicate, to optimize the efficiency in the team and to strengthen the overall trust. After a refreshment in the adjacent “Dammühle” restaurant, all participants were able to try out all the stations in the climbing forest before heading home to Dautphe.